It didn't hurt that my dad was a geek in his own time, first in the emerging world of "hi fi" audio equipment and then in signals intelligence for the Army Security Agency, doing morse code interception/operation in the 1960s. I think he came to appreciate what computers (still only largely available to large businesses and governments) could do and would be able to do, and followed their development closely. My earliest memory of working on computer technology was when my dad brought home a TI-99/4 computer, one of the first such devices intended for home use. We had software cartridges that allowed us to play games of all sorts, but it was when he showed me that I could also create my own software using the BASIC programming language - and save those programs to a cassette tape for later retrieval and editing - that my eyes were opened to the magic of software. I spent hours and hours at the TI-99 in our kitchen, playing with BASIC programs, first by typing in programs from a book (e.g. ELIZA) and then modifying those slightly to behave a little differently, and then creating my own programs from scratch. 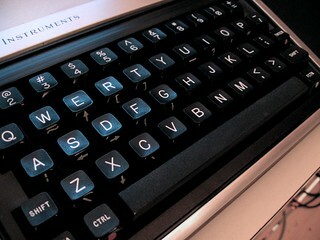 When we got a TI-99 in my 6th grade classroom, I remember showing the teacher and the other students what it could do. Computers started to show up elsewhere in my life, from the Compaq Portable computer my mom would bring home from work to the Apple computer sitting in my classroom at school where we experimented with the Logo programming language. For a fun project, my dad ordered plans for a DIY robot (from an ad in Boy's Life magazine, I think) and we built it together. It mostly looked like an upside down trashcan with a bunch of Radio Shack parts attached (because it was) and it moved slowly and awkwardly around our house, but it was the coolest thing I'd ever seen or built at the time. A few years later my uncle, who worked professionally with computers in a variety of contexts, collaborated with my mom to send us a custom built computer running MS-DOS, complete with monitor, keyboard and basic operating instructions. I think it might have had a 2 MB hard disk. Again, the primary initial use was games and word processing, but I noticed every time we had trouble with it my uncle would have me bring up a program called "Pathfinder" to go in to the computer's directory structure and fix or reinstall certain files. I began playing around with Pathfinder even when there wasn't a problem, and learned how the computer's operating system was set up, where the important files where, and what changes I could make to affect how the computer behaved. (Yes, this sometimes involved reinstalling the computer's software to fix unrecoverable problems I'd created.) It seemed like a never-ending new world to explore and understand. When I'd have my mom drive me to the local computer parts store (DEBCO Electronics in Cincinnati), I would always browse the brochures and flyers they had out for display, and I think it was there that I picked up a copy of the catalog for Drew Alan Kaplan's DAK Industries. One of the hot products they were advertising was this new device called a "modem" (Modulator Demodulator) that would allow you to connect your computer to other computers over a phone line. I made the case to my mom that I needed one of these modems to continue my electronic explorations, and though I'm not sure she necessarily understood the implications of the device, I think it showed up as a Christmas gift soon after. 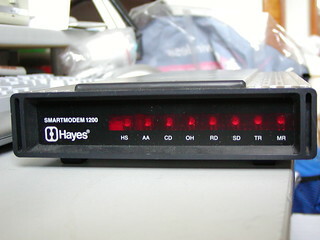 My new Hayes 1200 Baud Smartmodem changed everything again. Just when I thought I'd explored and understood what a computer could do, I had to reset my expectations. At first I would use the modem to dial in to a few organizations that had published a dial-up number for connecting to them, even if there wasn't much I could do once I had - the public library, a local university, etc. Just the magic of knowing that I was connecting to something somewhere else, controlling a computer over a distance, was so exciting. I played around with different ways to send commands to the modem, how to manipulate the phone lines to do what I wanted, and how to avoid getting in trouble with mom for tying up the home phone line all the time. Eventually mom decided (relented) and had a second phone line installed in the house; when the phone company installer came to do the wiring, I narrated his process with the right names for the equipment he was using, and he kept looking around as though a practical joke was being played on him - "how do you know all that?" I started hearing about electronic bulletin board systems, or BBSes, picked up a directory of phone numbers for local BBSes from the computer shop, and began dialing. These were online communications depots operated by volunteers with computer resources and phone lines to spare, and they allowed people to share files and messages with each other. I can't capture the wonder of that era any better than this great article from Lee Hutchinson at Arstechnica, Modems, wArEz, and ANSI art: Remembering BBS life at 2400bps. I was downloading new software, cool Star Trek art, books and more. I was meeting people from around the region and eventually around the world, whose names I did not know (and who thankfully never tried to get me to meet them in a dark alley somewhere). 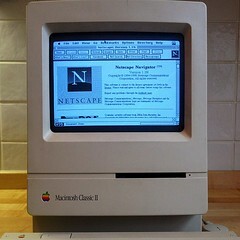 Our computer was a gateway for exploration, communication and creativity like nothing else in my life at the time. The BBS world offered an early version of email, where you could upload a message to one BBS, specify a recipient somewhere else in the BBS world, and know that within a few days or so the message would most likely make its way to them as systems dialed each other in the middle of the night along the way to convey the information along. But I read about a new standard way of addressing and sending mail messages to other people, and a delivery process that was much faster, near instantaneous. This "e-mail" seemed worth trying, so I again convinced mom to let us sign up for an account with an Internet Service Provider that could host an email account for me. By this time we had a 2400 baud modem, TWICE AS FAST as before! Once I was dialed in through an ISP that was connected to the emerging collection of servers and online resources that became known as the Internet, I once again set out to explore this strange new world. I bought a book (from a bookstore, they used to be these shops where you could walk in and pick out a book that was printed on paper) called "The Internet Directory" or some such, a huge listing of all of the email accounts, UUNET discussion newsgroups, FTP servers and web sites that were known at the time. I started e-mailing random addresses to see if anyone would write back. I joined newsgroups about things I was interested in and lurked to learn more about them. 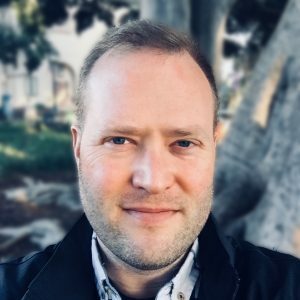 I started exploring the Hypertext Markup Language that was used to build basic web pages, and built a simple home for myself on the Internet. And I started to hear back from people; mostly family and friends who were getting online, but also random strangers. One day I got an e-mail from a man in Italy who hand-made men's ties, and he said he wanted to send me one just because. I was suspicious of a catch, but gave him my home address anyway (sorry, mom) and sure enough a beautiful, colorful hand made tie showed up via international post a few weeks later. I still have it. When I started looking at colleges, I definitely paid attention to how they were using technology, and what their infrastructure was for students when it came to using and connecting computers. I remember visiting Earlham College as a prospective student and talking with a current student who showed me some of the amazing things he was doing in creating the Computer Science department's website (OMG image maps!). There were still no ethernet ports in the dorm rooms but there was a local Internet Service Provider in town that I could dial up to. 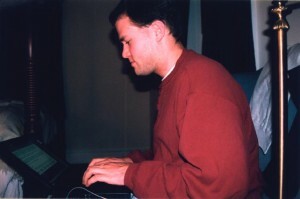 When I started at Earlham as a student and began taking computer science and math classes, my experience and understanding of what was possible with this technology expanded to whole new levels. I learned the intricacies of the Unix operating system, how to assemble a circuit board from parts, how to program in assembly, how to build a robot (no trash can this time), how to set up a relational database, and how to write software that could be used by lots of other people to get their own jobs done faster and more efficiently. After my first year in college, I spent the summer working at a website development company, possibly one of the only in Cincinnati at the time that my mom noticed in a classified ad in the paper. (Its Principal was Michael S. Rose, now a conservative author and commentator.) I hand-coded websites in HotDog Pro, manipulated graphics and just generally did what was needed to help our clients. Michael was great about letting me explore new tools, and I ended up creating several database driven pieces of software using Filemaker Pro (I remember one was a tool to store traffic and weather data for use by Cincinnati media outlets). From there I learned more about "programming for the web," showed Michael what I could do, and he started offering those kinds of components to other clients as well. I felt like a pioneer of sorts. 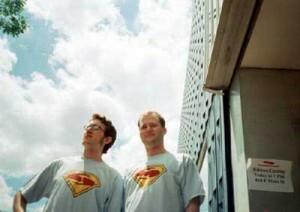 When my Earlham classmate and friend Mark worked at the same company the summer after, we ended up having a lot of conversations about the tech we were using, and how much fun it was. Those conversations eventually led to creating our own web development company together, and that story is for other blog posts. By this point in history, 1997, much of the rest of the world was starting to engage with the Internet in some form. Most college students had email accounts and their parents and friends were getting online too. AOL was going strong and a few businesses here and there were using the web to advertise their services. The emergency of a global communications network seemed to be on the front page of every magazine and newspaper in some form or another, but it was still long before the average person would ever be expected to "install an app" or "update their blog." I still look for opportunities to take things apart or explore new technology and tools, but it's a different environment for that now. If I want to teach myself a new programming language, there are a million different books and online tools to help. If I want to understand how something works, I could try to deconstruct it myself, but am often lazy and end up reading the right Wikipedia articles instead. Companies like Apple purposefully expose less of the innards of their iPhones and iPads to users like me, and so really exploring and understanding the guts of those systems either means cracking them open in some form, or looking for a job at Apple. Sometimes my curiosity is outweighed by a need for practicality or simplicity. I still occasionally experience moments of wonder and awe when I learn about what a particular technology tool can do, but they rarely rival those early days of encountering computers for the first time, exploring BBSes, or receiving an e-mail from across the globe in only a few seconds. These are some of the experiences, people and opportunities I had that brought me deeper into the world of computers and online technology. I'm sure there are many others along the way that I'm forgetting now. A strong curiosity about how things and systems work, and the willingness and discipline to try to satisfy that curiosity. The ability to ask good questions and then follow up with more. Free flowing access to information - human knowledge, instruction manuals, details and specifications, data sets, how-to books, examples and models to follow, mistakes that have been made and what was learned, and more. Parents, neighbors, friends and educators who support exploration, taking risks, making messes and not necessarily doing what everyone else has always done. A sandbox to play in where the price of failure is low. If any parts of my story resonate with you, or if you have other thoughts or questions, I'd love to hear them in the comments. I was introduced to computers by Mr. MacDonald, the A/V guy (who happened to be a very close friend's step dad) at our elementary school. I was so fascinated and excited by what he was able to do with computers, my parents went out and bought a Commodore 64-SX Portable, which I still have (most of, anyway). I remember spending hours writing BASIC programs that would scroll my name across the screen in different patterns, and bringing it to my 3rd grade class to play games, forever cementing my reputation as a nerd. Then it was on to the Apple IIe, the 8086 MS-DOS PC with the Turbo button (very fancy) and learning Pascal in school... the on to the 486-33 that I used to play Doom with my friends over the 10-base-2 coaxial network... to joining the local BBS and coordinating movie nights over chat ... to even starting our own BBS -- with aspirations of starting an actual ISP to connect up all of Cape Cod -- and registering our first domain in 1994 (ascension.com) ... then going off to Earlham and being even more inspired when I saw computers directly connected to the Internet. The rest is kind of history. I think your 'ingredients' are exactly correct and I couldn't offer any better advice to anyone trying to "get into" computers. We have two little kids now and it will be very interesting to see what their "Commodore 64s" and "BBSs" will be. I hope we can recognize those things when they come. I'm sure they will look much different. Thanks for writing this. It was really fun to visit these memories. Oh the memories. 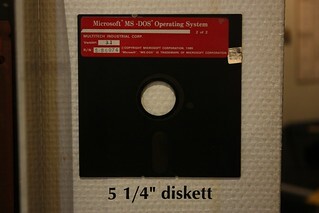 My first peek at a computer was a bit before your time. It was this huge box like thing that they brought to our Jr. High School back in the 70's. I was in a group of kids that were enrolled in MGM (mentally gifted minors) way back before being a geek was even remotely cool. I was fascinated by everything having to do with it. I made the mistake of getting married way too young and gave up a lot of dreams to assist my ex-husband with his. But back in the 80's as a young wife I managed to get him to buy my Atari 800 and spent many, many hours flipping through computer magazines and entering basic programs from them. I actually loved having errors because I loved the process of finding where I (or they) had made mistakes. Over the years I have always found a way of updating my computer and rarely have I gone without one. Kids and life kept me from persuing programming but I admire all those that devote their time to making our lives easier with their programs. I passed on my love of technology to my kids and although only one works for a software company (Blizzard) they all have computers and cell phones and keep me updated on their comings and goings. Thanks to all of this technology I am considered a "cool" grandma because I play MMO's and share with the "kids" so many things via the internet. Thank you for this peek into your perspective.